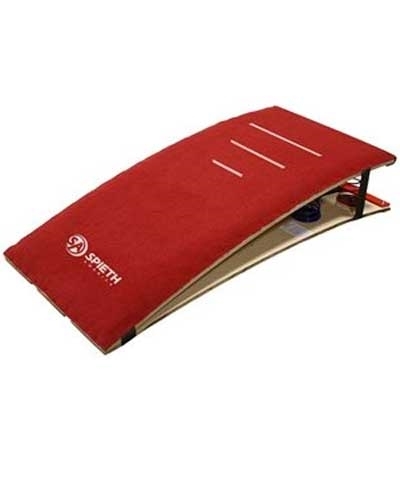 The Spieth America Airmat Board is 24"x48"x4" can be used alone or attached to the vault board with bungee cords for greater rebound. Includes side D-rings for bungee attachment. Ideal for training Yurchenko vaults. 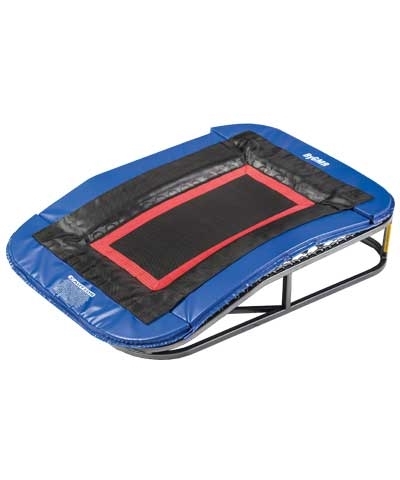 Can also be used for roundoff drills, handsprings and front and back somersaults. Three red horizontal lines in different lengths mark the takeoff zone. Not for use on hard surface. 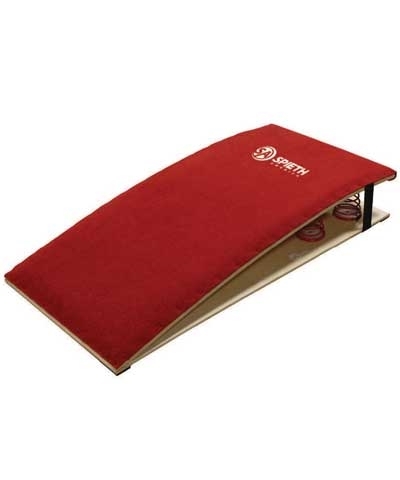 Must be used on a vault board, spring floor, tumbling strip, tumbling mat or carpet bonded foam. 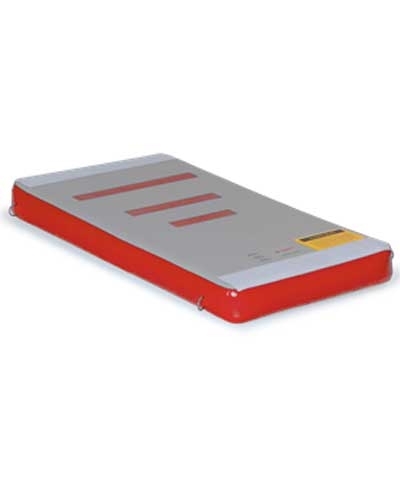 Easily inflated and deflated with the Mini Airmat Blower purchased separately-S1740115.